During the last four decades since graduating college with a journalism degree, I’ve worn many writing hats. I began my career as an assistant editor at a small, weekly newspaper in my hometown, St. Louis, Missouri. From there I became the head of a publications department at a large teaching hospital and from there I co-founded a full-service public relations agency specializing in health care marketing. Then, twenty years ago, as my children entered their teen years, a series of personal and professional incidents converged to send me down a new path. I hung up the journalism and p.r. hats and went back to school to get a master’s degree in fine arts—creative writing. The MFA program was a life-altering experience. Since childhood I’d dreamed of becoming a novelist. I wrote my first book at age 12; I fantasized about novel writing as I majored in the more practical (bill paying) journalism degree; and my husband reminded me that on our very first date forty years ago I told him my goal was to become a published author. In the early years of the MFA classes, I wrote and studied short stories. Then I dared to approach my dream. I spent two years, nine graduate hours and many drafts writing my MFA thesis—my first novel—After Elise. At the time of graduation, my advisor said the book was good but it wasn’t yet done. So I spent more years and more drafts. I struggled with the main character and I struggled with pacing–when to tell what. Over the next decade, at two different points, two different New York literary agents took me on as a client and shopped the book to the big five publishing houses. I got lots of good feedback and several near misses. But the book was never quite up to their marketing standards. So After Elise went into a drawer to be forgotten as a first book. During the time, I discovered another passion—teaching. I became a certified secondary English teacher and found my calling working at an inner-city charter middle and high school in downtown St. Louis with children of poverty. I taught writing and, as such, had the opportunity to get to know my students at a deeper level through their journaling and their personal narratives. These were children who often came from homes and neighborhoods where drugs, violence, gangs, abuse and neglect were no stranger to their daily lives. The courage my student showed inspired me to write my second novel, which was published three years ago after eight years of hard work and multiple drafts. The Middle Step (High Hill Press) was published in fall 2015. As I marketed The Middle Step and began a third, and even fourth, book, my mind kept returning to After Elise. I believed in the novel and felt like it was a story that deserved to be told. Last winter, during a snowed-in weekend, I dug the book out of hibernation and finally could see what I needed to do. I spent yet another year on the novel and this time it led to a publishing contract from Ardent Writer Press. Of course, as all authors know, even then I wasn’t done with the book. Doyle Duke and I went through more drafts than I can count; and I’m forever grateful for his tough input and honest critiques to create an ever-stronger novel. Similarly, working with Steve Gierhart has been a wonderful experience as I benefit from his wisdom, his accessibility and his business acumen. Now, as I hold the galley ARC in my hand of this novel begun nearly twenty years ago—a novel that was a finalist in a competitive national competition—I almost can’t believe it! I am proud of this book. I am proud of my persistence. And I am very proud to be an Ardent Writer Press author. After Elise was a finalist for the 2017 Faulkner-Wisdom Writing Competition sponsored by the Faulkner Society. 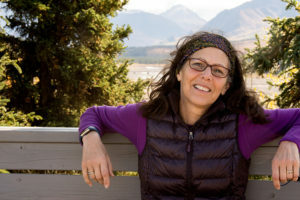 The Link to Denise’s author website (www.denisebogard.com) is HERE. Our oldest son was sixteen when I wrote the first draft of After Elise. (He’s thirty-five and a father of three now.) Daniel was a brand new driver, which, as any parent will tell you, is terrifying! Until we both adjusted to that new chapter, I couldn’t stop my mind from occasionally worrying about an accident in which either he or others were seriously injured. About that time, a friend of a friend’s son was involved in a fatal accident that changed the life of the driver and his whole family. Hence, the germ was planted for my book as I began to explore a fictionalized scenario in which a driver kills someone and then has to live with that responsibility her whole life. After Elise confronts readers with the most everyday tragedy—an accident that could happen to anyone—and its effects, changing the lives forever of everyone involved. This is not a happy or a light story. But it is, ultimately, a story of healing and forgiveness. 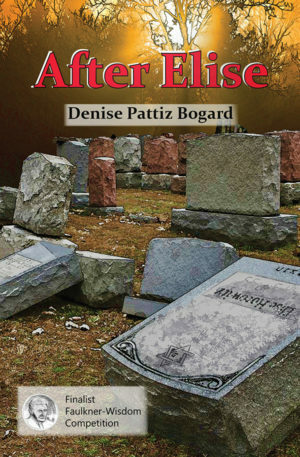 The link to Amazon for the paperback version of After Elise is HERE. The link to Amazon for the eBook version will be available on August 1.